Founded in 1913, Kazimir Malevich created a modern art movement in Russia that associated with the current Revolution. He was mainly inspired by poets and literary critics, anything involving writing and language. 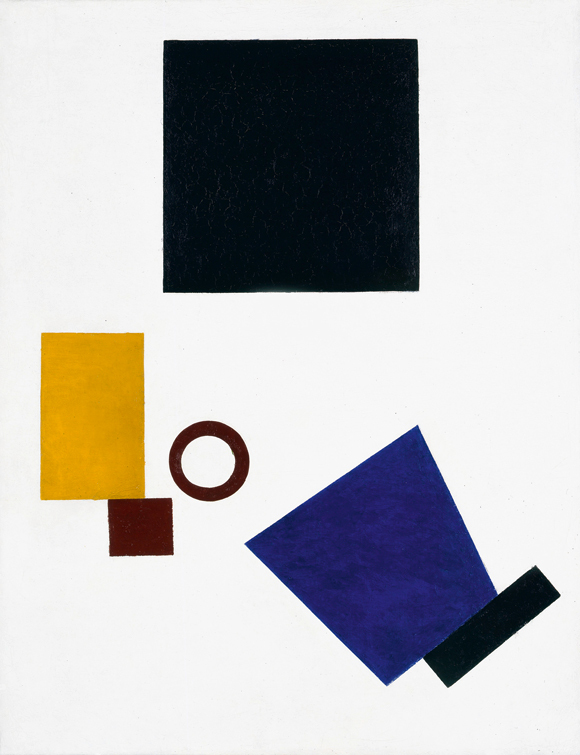 Malevich connected the unpredictability of shape placement in this kind of art to the idea of placing words together and wanting to communicate art in a similar manner that language is communicated. Suprematism was overall a method of abstraction and did not focus on looking like a piece of art. It focused on making clear geometric shapes and emphasizing the medium used as well as placing the shapes in a way that communicates their desired message. In the piece shown by Malevich in 1915, he is trying to communicate a self portrait to represent himself as an artist, but it is near impossible to tell at first glance if you do not understand his perspective and method. Suprematist art was highly subjective and could be interpreted in many ways. Later on around the 1980’s, a new movement called New Wave Typography was emerging and quickly became popular with the rise of Pastiche and Punk. This movement was mainly inspired by Swiss Style, but as Wolfgang Weingart states he took it to the next level by blowing it even further out of proportion. 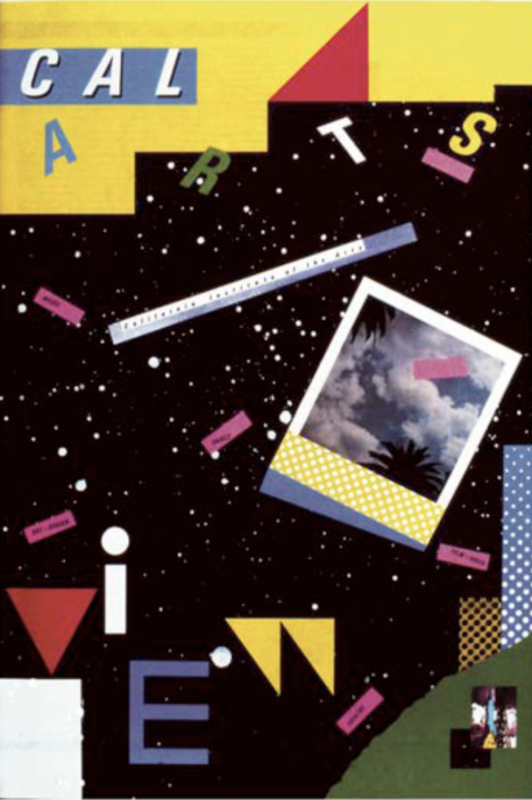 New Wave type was all about breaking the grid, using geometric shapes, and having a playful colour palette, evidently shown in April Greiman’s Cal Arts Viewbook. In a similar manner, suprematism was also all about making an abstraction of geometric shapes which shows clear inspiration towards the New Wave typography movement. The spontaneity of shapes, the rotations of type, etc. all demonstrate what looks like a modernized version of suprematism. The way the designs are created are also like Suprematism – instead of being inspired by writing and poetry, they are typically inspired by music especially punk and electronic. These pieces represent the sound, just like Suprematist artists create their pieces based on how they interpret the tone/meaning of a writing piece. “Suprematism Movement Overview.” The Art Story, www.theartstory.org/movement-suprematism.htm. The New Wave of Graphic Design, www.designhistory.org/PostModern_pages/NewWave.html. Tate. “Suprematism – Art Term.” Tate, www.tate.org.uk/art/art-terms/s/suprematism. As graphic design progressed, so did the treatment of visual culture around the world. The influence of design is not only limited to the current times of a certain style’s existence, but extends throughout the dense history and its future impact. From posters to prints, magazines to novels, and navigation to logos, graphic design is essential in world understanding, the articulation of technique, and visual representation of expression. Following the history of German movie posters, their appearance strongly influenced the movie posters of even todays motion picture appearance. After the loss of Germany and Austria during World War 1, Germany quickly declined and faced economic hardship and political disability. This resulted in German currency diminishing in worth, forcing its citizens to search for available jobs. As the German Empire ended, design and the Bauhaus school of art rose to success. In the attempt to modernizing the world, Germany looked towards design and prints in order to regain stability and clarity. It was during this time when film was introduced to mass media, this included the German expressionist science-fiction film Metropolis. In 1927, the poster release for the film showcases a robot woman situated in the foreground while surrounded by an array of buildings and spotlights, while the title Metropolis is written in a bold and sharp font above. The expressionist approach showcases the theme of technology and its role within an industrial society, revealing the film’s overall subject matter and narrative. The visual direction for the Metropolis became known for its beautiful approach and powerful designs, resulting in such an immense impact for future movie posters. 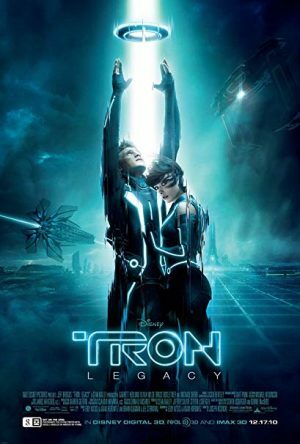 Movies such as Star Trek, Tron: Legacy, and Black Panther are just a few of today’s movies who suggest their inspiration through their poster designs. The themes of technology are evident in their futuristic quality. Metropolis showcases the modernity of the city in its architectural background while the female robot is the main figure of the composition. The other three posters also feature technology in both their appearance and the movie portrayal, where the setting is taking place during a time of increased technological advances. Aside from the subject matter of the movies, all four of their appearances offer extremely similar compositions. They all possess vertical compositions and symmetrical layouts as well as elements of light. They also showcase characters of the movie with their gazes locked towards the viewers with intent or almost challenging their eye-contact. Not only do the images connect, but the typefaces also associate with one another. 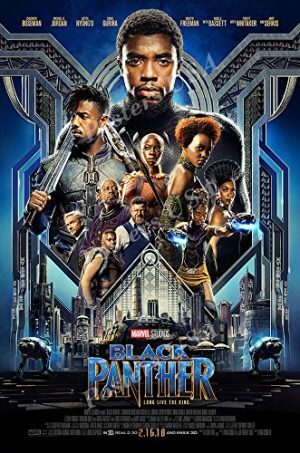 Similar to the poster of Metropolis, Star Trek, Tron: Legacy, and Black Panther incorporate typefaces for their titles that correlate to the theme of the movie, especially in an angular and stylized style. Graphic design is and always will be essential within visual culture. Comparing the Metropolis poster with the posters of Star Trek, Tron: Legacy, and Black Panther shows the great impact and strong influences of graphic design history among contemporary art. Despite the large time gap between the posters, the corresponding themes, compositions, visual elements, character positioning, and expressive type demonstrates how earlier designs can serve as source for the future of graphic design. Stephen J. Eskilson. “The Arts and Crafts Movement.” Graphic Design: A New History, Second Edition. Yale University Press, 2012. 50-53. Print. yankee260. “Metropolis Movie POSTER 27 x 40, Brigitte Helm, Alfred Abel, B, LICENSED NEW.” EBay, Magnum Gifts, 21 Mar. 2019, www.ebay.com/itm/Metropolis-Movie-POSTER-27-x-40-Brigitte-Helm-Alfred-Abel-B-LICENSED-NEW-/182425226999. 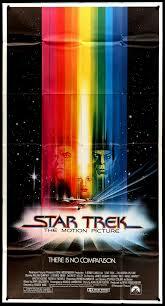 “Star Trek: The Motion Picture (1979).” Original Film Art – Vintage Movie Posters, www.originalfilmart.com/products/star-trek-1979-3sheet. Jan Tschichold was a German typographer, calligrapher, designer and author, influential in the evolution of 20th century typography. After being acquainted with modernist design at the Bauhaus exhibition in 1923, he joined the movement and this change heavily impacted his following work. 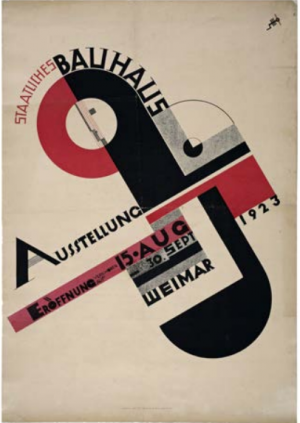 Characteristics of the Bauhaus include techniques that are later established as new typography principles such as negative space, asymmetrical typography, sans serif typefaces, no caps, clean modern design and minimalism. 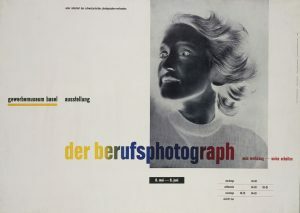 Jan Tschichold created “The Professional Photographer exhibition poster” (Der Berufsphotograph, Sein Werkzeug-Seine Arbeiten) in 1938 that showcased these principles. It uses a solarized/inverted photo, an example of typo-photo where the negative image is seen rather than the positive. This photography poster does not focus on the woman herself but the technique of photo manipulation and the abstract composition. Primary colours are used in gradation, reflecting on the idea of light in photography. This poster also utilizes lowercase sans serif type and communicates a clear idea through the combination of text and image. This historical graphic design has inspired contemporary graphic design as these new typography principles are still continually being employed in posters, magazines and overall digital graphic design. Jan Tschichold’s ‘The Professional Photographer exhibition poster’ 1938, is a clear dynamic representation of combining text and image to communicate a message while still remaining visually modern and minimalist. 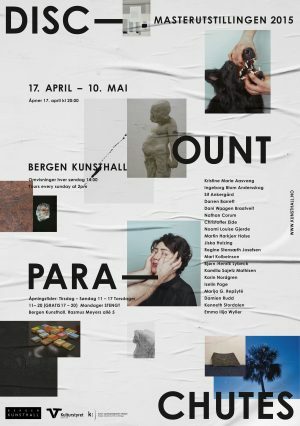 The poster highlights the technical aspects of photography and breaks the barriers of traditional typography structures. This makes way for future designers to push the boundaries further and take on more creative risks. Jan Tschichold’s “The Professional Photographer exhibition poster” design served as a source for these later designs as it is the basis of a contemporary layout that is successful in communicating its message. It displays text and image in a simple yet modern way, a common goal in today’s graphic design. The first example “Ai Weiwei at Cycladic”, Exhibition poster focuses on a black and white image as well, but places it in the center of the composition. Instead of no caps like Tschichold’s piece, it uses both all caps and upper and lower case type. Although there are clear layout differences, the modern principles of using sans serif typefaces and clear negative space are being used. It also uses no ornamentation and focuses heavily on text and image. The second example is more experimental but is similar to Tschichold’s poster as it displays asymmetrical typography, sans serif typefaces, unique imagery and a modern composition. It varies from Tschichold’s poster as it uses coloured photography with both vertical and horizontal orientations. Both postmodern examples of exhibition posters represent Tschichold’s impact on typographic compositions and the constant developments in design. Jan Tschichold’s “The Professional Photographer exhibition poster” from 1938 along with his many other influential design work, serves as inspiration to future designers to continue to innovate and push the boundaries of traditional layouts. 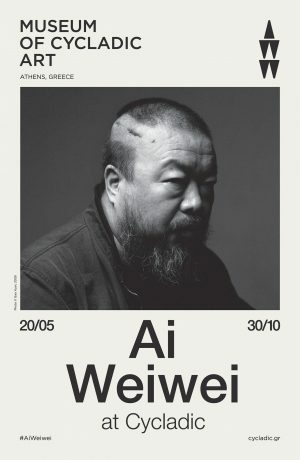 Ai Weiwei at Cycladic, Exhibition poster © Museum of Cycladic Art. Behance. “Art School Bergen- Exhibition Catalogue.” Behance, Sept. 2015, www.behance.net/gallery/29375989/Art-school-Bergen-Exhibition-Catalogue. Britannica, The Editors of Encyclopaedia. “Jan Tschichold.” Encyclopædia Britannica, Encyclopædia Britannica, Inc., 29 Mar. 2019, www.britannica.com/biography/Jan-Tschichold. “Greece Meets China in the Ai Weiwei at Cycladic Exhibit.” Yatzer, 15 June 2016, www.yatzer.com/ai-weiwei-cycladic-athens. Tschichold, Jan. “Jan Tschichold. Der Berufsphotograph, Sein Werkzeug-Seine Arbeiten. 1938 | MoMA.” The Museum of Modern Art, www.moma.org/collection/works/6104. 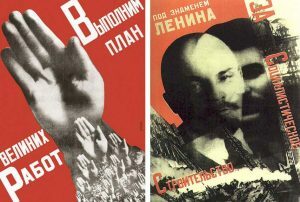 The first image I am analyzing is the left image: Gustav Klutsis – Workers, everyone must vote in the Election of Soviets! It is one of the many examples of the constructivist movement. Popular in early 20th century Russia this artistic movement sought to represent governmental views with hard and angular constructive design, influenced by mass production techniques. This was often utilized as a form of propaganda with the text in the image explaining the governments overall goal, in this particular instance it is attempting to get the Soviet people to vote (for the particular party they want of course). The composition here is a photo collage mixed in with typographic elements, faces and hands are creating one form out of the right-hand corner of the piece meant to represent the people actively voting in the soviet election. The color scheme is classic red and white which is in line with the strong bold colors the constructivist movement was known for. Another thing to note is the use of angles in the image and text as that was another important aspect of Russian constructivism. Shepard Fairey is an American contemporary street artist, graphic designer, activist, illustrator and founder of OBEY Clothing who emerged from the local skateboarding scene. He first became known for his “Andre the Giant Has a Posse “OBEY sticker campaign while attending the Rhode Island School of Design. His work as he has stated in past is directly inspired by classic propaganda posters, his OBEY campaign was expanding on that idea of the conformity we face in modern society. Composition wise we see the clear inspiration but also the more contemporary feel in Fairey’s work. Both compositions utilize hand and play with collage elements, Fairey’s piece has a bit more contrast in utilizing a darker black tone but he loses some of the subtlety that Klutis’ piece has with faces hiding in the collage. We can also see how Faireys iteration plays with strong bold lines, very reminiscent of the constructivist era. The colors are similar with Fairey’s piece having more of a crème color than a pure white. 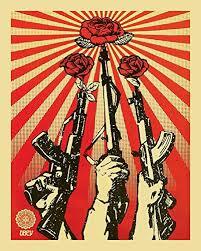 The background however is more reminiscent of a Japanese sunburst graphic than anything from the Soviet movement. Through this comparison we can clearly see the inspiration these propaganda posters have on modern design, even in a democratic society we are still aware of the way that consumerism can have a negative effect on many aspects of life. This fact is something that allows this reinvented propaganda work to flourish in a form not controlled by any form of government. A simple logo with shapes that construct “2012” was the design outcome from the British branding firm Wolff Olins. The firm explained they wanted to show that the Olympics can be for everyone through this logo, however, it was met with a mixed reaction. This design seems to be reminiscent of the design aesthetics from the modernist movement Vorticism. Alongside many avant-garde movements in the early 20th century, Vorticism was a movement exclusive to England – especially London. It is often referred to as the British version of Futurism, they relied on the machine aesthetic to propose a utopian worldview. The movement’s name derives from vortex due to the diagonal lines in Vorticist works that seem to evoke the dynamics of a vortex. 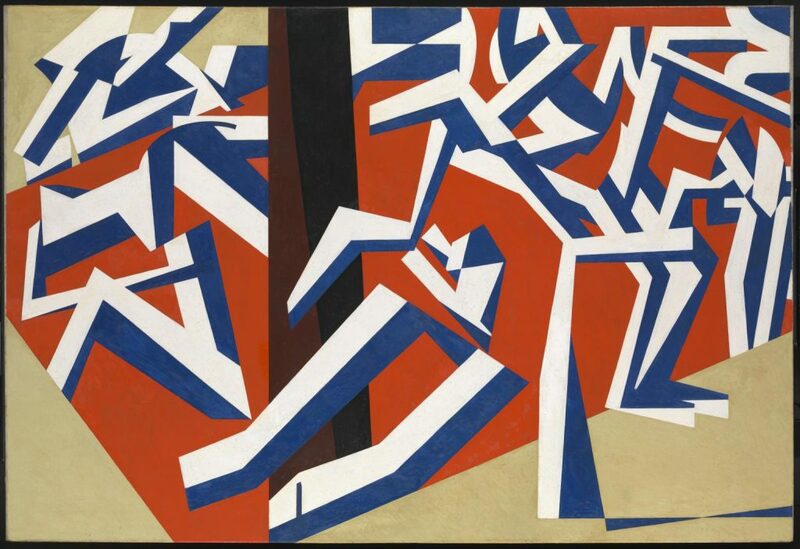 The painting “Mud Bath” by artist David Bomberg, displays the most common principles of Vorticist art: the reduction of forms into geometric shapes and movement. Wolff Olins’ logo takes these principles and applies it to the logo, reducing the number “2012” into jagged, geometric forms. Like the moving and seemingly tilting figures in Bomberg’s piece, Wolff Olins’ logo is also angular and tilted. Bomberg and Wolff Olins’ pieces shares the colour convention of the use of bold and saturated colours. The 2012 Olympics logo comes in four variations of colour (light blue, orange, green, and pink) in which these colours are saturated, while Bomberg’s work contains saturated blues and reds. Perhaps it is not only the design conventions that are shared between these two works. It is that both works were created under the passion to show the modernity of the world and the desire to break boundaries through the unconventional. The Circle of New Advertising Designers was a group formed by Kurt Schwitters and was later joined by Jan Tschichold in 1927. This group formulated the principles of The New Typography. It was structured around these principles in their works: asymmetric balance of elements (rejection of the traditional rules of typographic symmetry), sans serif typography, intentional white space and content designed by hierarchy. This group included major themes of modernism such as Dada design and also uses a verbal and visual rhetoric. This group’s use of experimental typography (degradation of typography) and innovations was a response to new printing technologies that permitted designers to break free from the confines of the traditional. Piet Zwart’s Trio-Reclameboek cover is an example of these principles where the use of white space, sans serif, hierarchy through the size and asymmetric placement of type and by including the primary colors. His experimental work showcases how he rejects the conventions of traditional typography which gives it a sense of movement. 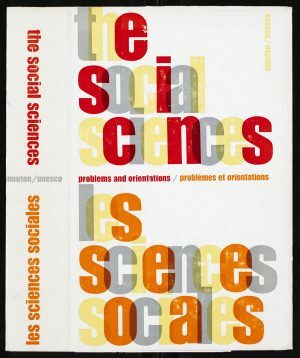 In contemporary design, Jurriaan Schrofer’s The social sciences, Problems and orientations in 1968 showcases influences from the New Typography principles where he experiments with typography and overlaps with one another. Although he did not play too much with size, he uses colour for hierarchy. However, Schrofer still follows some kind of grid in his work. Designhistory.org. (2019). Tschichold’s New Typography. designers, c. (2019). circle of new advertising designers. Geheugenvannederland.nl. (2019). Biography Schrofer – Memory of the Netherlands. With the invention of computers, a product that was becoming an international phenomenon, a universal language was needed to be created. Something that communicated through a screen with no explanation needed. Susan Kare took on this challenge and excelled. She created pixelated pictograms for the new Macintosh computers. These pictograms were able to visually communicate what each icon did if you were to click on it. No matter who you were, or where you come from, your able to understand the icons at first glance. We can’t give all the credit to Susan though, because underneath these icons lies an influence that dates back 20 years ago. The 1964 Olympics were approaching and the assigned graphic design team for the event knew that a mass international crowd was planning on attending this event. This lead Masaru Katsumi and Yusaku Kamekurar on the path to find a universal language that breaks the barrier of language and culture. This gave brith to the first set of pictograms to be used graphically in this type of system and dialogue. Both these pieces cut through a barrier of language and culture. Their designs were able to be understood internationally without hesitation. A new systematic language of pictograms has been created and a new revolution of graphic design emerged. Lange, Alexandra, and Alexandra Lange. “The Woman Who Gave the Macintosh a Smile.” The New Yorker, The New Yorker, 19 Apr. 2018, www.newyorker.com/culture/cultural-comment/the-woman-who-gave-the-macintosh-a-smile. Douglas, Ava. “Masaru Katsumi.” History of Graphic Design, www.historygraphicdesign.com/the-age-of-information/corporate-identity-and-visual-systems/1037-masaru-katsumi. 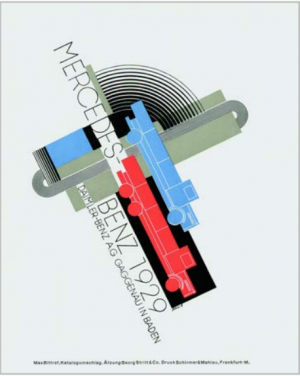 The 1929 Mercedes-Benz catalog cover by Max Bittrof is an example of New Typography style, influenced from the Bauhaus style. The poster shows a slanted and dynamic graphic made up of both rectangles and circles. The three colours used in the poster are bright and stand out. 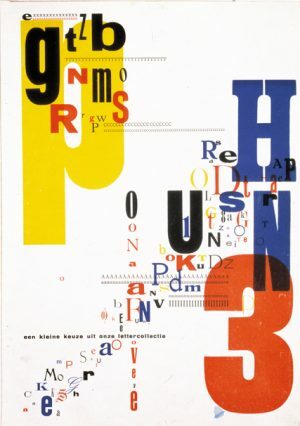 This poster shows clear influences from the 1923 Bauhaus Exhibition poster by Joost Schmidt. Both posters feature slanted black rectangles and circles. Both posters also feature all capital sans serif type following the direction of the graphic. Although both posters are very similar, the 1929 Mercedes-Bens cover uses more colours and is aimed in a more commercial direction. Looking at the Volkswagen car commercial there are many similarities and influences from the Mercedes-Benz cover, including the subject matter: cars. Looking at both posters they have a diagonal direction which creates a dynamic composition. The compositions also use a combination of rectangles and circles, a signature of the original Bauhaus style, featuring both thick and thin widths. This use of the two simple shapes helps create a simple yet dramatic graphic. Furthermore both posters use a bold black colour which highlights the movement of the diagonal. Lastly both posters use sans serif type. Although both posters have many similarities, the Volkswagen advertisement has some subtle differences which give it a more contemporary style. Unlike both the Mercedes-Bens and Bauhaus posters which place their design within the margins in the middle of the page, the Volkswagen poster graphics are cropped off the page. 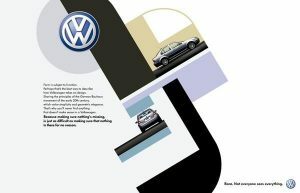 The Volkswagen poster also uses less dynamic colours, unlike the bold red and blue in the Mercedes-Benz cover. Furthermore the type used in the Volkswagen is both capital and lowercase as well as different weights. Unlike the other two posters, the type is not literally included in the graphic composition, rather it is placed on its own n the left side. Although it is on its own it is still sensitive to the composition as the rag follows the diagonal rectangle. When looking at all three posters, there is a clear influence starting from the Bauhaus Exhibition posters to the Mercedes-Benz catalog cover, all leading up to the Volkswagen commercial. All the posters share distinct similarities yet all three have characteristic differences which represent their movement. Images taken from:https://www.pinterest.es/pin/476537204290651558/, Lecture 8 VISD-2006-002 (Slide 23). I will be talking about the pop art in this blog post. Pop art is known as art that focuses on the popular culture and mass media. Andy Warhol is one of the biggest influencer in the graphic design history. His art work very different and memorable compare to other design with in the same design period. His artwork become a symbolism of himself and to pop art. Today I will be talking about the two artist which is Andy Warhol and Jessica Walsh. They are both American graphic designers. Pop art that was done by Andy Warhol is called “Shot Marilyn.” This work was done by painting on silk screening. He limits the usage of the colour and makes Marilyn Monroe stand out by creating contrast. He uses the colours that is unique. 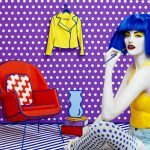 In the Jessica Welsh’s pop art, she uses real life human figures. She plays around with the colour to create dramatic and dynamic colours contrast. By looking at her work she makes the viewer confused because her work looks like a painting. Her work includes a real human figure on a set that is set up by patterned backgrounds. She creates 3D environment to make her work so unreal. 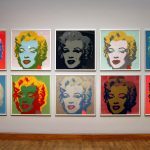 These two artists not only proved that pop art is done through painting or drawing but it could contain human figures as an important element in pop art and in graphic design. The element of the human figure and combining other types of elements creates unity and creates great synergy. I really love enjoy looking at the colourful colours how these components work together in the same art piece. 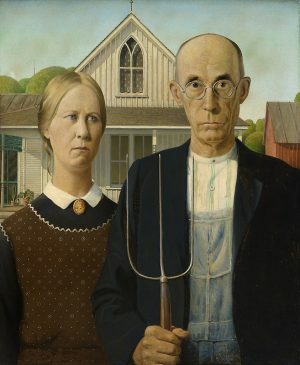 American Gothic was painted by Grant Wood in 1930. It was submitted to the 1930 annual exhibition at the Art Institute of Chicago. It got famous after it won the bronze medal and been published in the Chicago Evening Post. The inspiration behind the painting was a little white cottage house he saw while he was visiting Eldon. The “carpenter Gothic” window was such a contrast on that humble house. Therefore it became the background of his upcoming painting. Wood combined both European and American technique on this painting, that brings out the style of Northern Renaissance art while using a context that’s closer to nowadays. The figures on the painting was meant to be a farmer and his daughter, while the model was actually his sister and a dentist. The meaning behind the painting at the time was believed to celebrate the nation’s spirit after the Great Depression. But as the time pass on it became a satire towards the American culture. The painting looks normal in the beginning, but as we look in to more details, the emotionless face of the two figures that standing in front of their house creates a disturbing vibe. 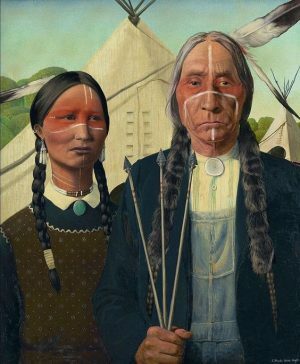 The art work that I’ve chosen that was inspired by American Gothic, is a painting called “Native American Gothic” by Lehi ThunderVoice Eagle Sanchez. He changed the cottage house in to some tepee, and the figures were changed to two native people. In most of the work he has done, he was always trying to use art as a media to tell the stories of their culture that he wishes will never be forgotten. He was trying to use this painting to find their own Indian identity that was lost. Which is a satire itself. Though he was trying to use his art to heal and forgive. Wood, G. (1930). American Gothic. Chicago: The Art Institute of Chicago. ThunderVoice Eagle Sanchez, L. (2017). Native American Gothic.